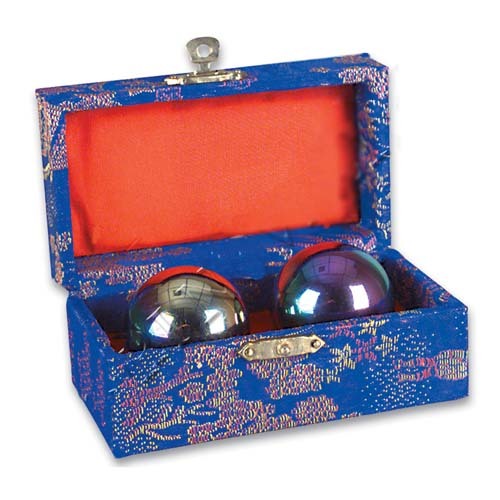 These beautifully polished hollow metal balls have internal sounding plates to produce tones when rotated in your hands. These massage acupuncture points in the hands to improve muscle tone, and reduce tension. Complete with assorted color padded carrying box. Good for ages 9 and up !